Wed in an arranged marriage to a man nearly fifty years her senior, sixteen-year-old Eileen O'Connell goes from being one of five unmarried sisters to become the mistress of Ballyhar, the great estate of John O'Connor, one of the wealthiest and most influential men in Ireland. When O'Connor dies suddenly seven months into their marriage, Eileen must decide whether she will fulfill her brother's strategic goals for her family by marrying her late husband's son. Headstrong and outspoken, Eileen frustrates her brother's wishes, as, through the auspices of her uncle, General Moritz O'Connell of the Imperial Austrian Army, she, along with her ebullient elder sister, Abigail, spend the ensuing richly-dramatic and eventful years at the court of the Empress Maria Theresa in Vienna.The sisters learn to navigate the complex and frequently contradictory ways of the court--making a place for themselves in a world far different from remote Derrynane. Together with the general, they experience a complex life at the pinnacle of the Hapsburg Empire. 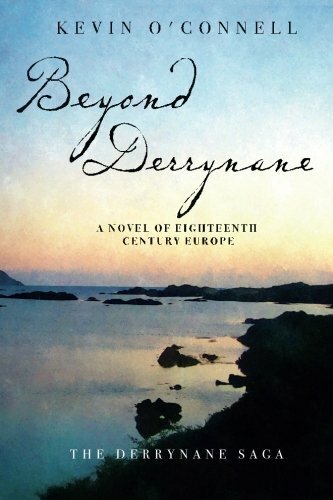 Beyond Derrynane - and the three books to follow in The Derrynane Saga - will present a sweeping chronicle, set against the larger drama of Europe in the early stages of significant change, dramatising the roles, which have never before been treated in fiction, played by a small number of expatriate Irish Catholics of the fallen "Gaelic Aristocracy" (of which the O'Connells were counted as being amongst its few basically still-intact families) at the courts of Catholic Europe, as well as relating their complex, at times dangerous, lives at home in Protestant Ascendancy-ruled Ireland. In addition to Eileen's, the books trace the largely-fictional lives of several other O'Connells of Derrynane, it is the tantalisingly few facts that are historically documented about them which provide the basic threads around which the tale itself is woven, into which strategic additions of numerous historical and fictional personalities and events intertwine seamlessly. Kevin O'Connell is a native of New York City and a descendant of a young officer of what had—from 1690 to 1792—been the Irish Brigade of the French army, believed to have arrived in French Canada following the execution of Queen Marie Antoinette in October of 1793. At least one grandson subsequently returned to Ireland and Mr. O'Connell's own grandparents came to New York in the early twentieth century. He holds both Irish and American citizenship. 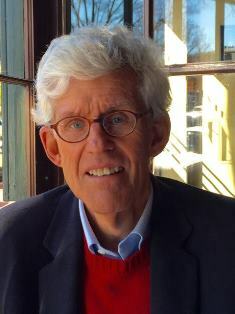 For more than four decades, O'Connell has practiced international business transactional law, primarily involving direct-investment matters, throughout Asia (principally China), Europe, and the Middle East.